From Jim Easter, a delightful gloss on the fate of science in the hands of the Christianist GOP. Read it, laugh, and weep. 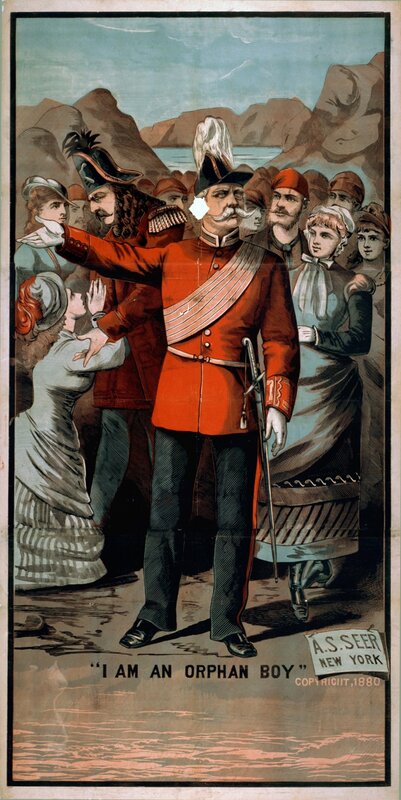 Image: A.S. Seer Print, New York, Poster for The Pirates of Penzance, 1880. Theatrical Poster Collection (Library of Congress), http://hdl.loc.gov/loc.pnp/var.1961. Source: Wikimedia Commons. That legacy, according to the Times? President Bush on Saturday further cemented his legacy of fighting for strong executive powers, using his veto to shut down a Congressional effort to limit the Central Intelligence Agency’s latitude to subject terrorism suspects to harsh interrogation techniques. Oh–that legacy. Silly me. I thought they meant the legacy that places George Bush in the cohort of moral bankrupts that include the Japanese prison camp staff convicted of war crimes for waterboarding American soldiers, sentenced to up to 25 years imprisonment by US – led courts for their offenses. I’ll write more over the next day or two about an aspect of this story that does have at least a loose connection to a major theme of this blog, the implications of the science worldview for figuring out something of what goes on in the public square. But every now and then it’s good to just pause and recall the capacity for moral outrage. And that’s my question: the NY Times reports on a decision by the President that says its OK for our trained professionals to torture — and they see it as a narrative of presidential power? This is a clear sign that reporters and editors alike are way too far into the bubble. You should feel — and write — from a different place. Try outrage. Anger. Shame. Please, just once, remember why y’all set out to be newspaper people. 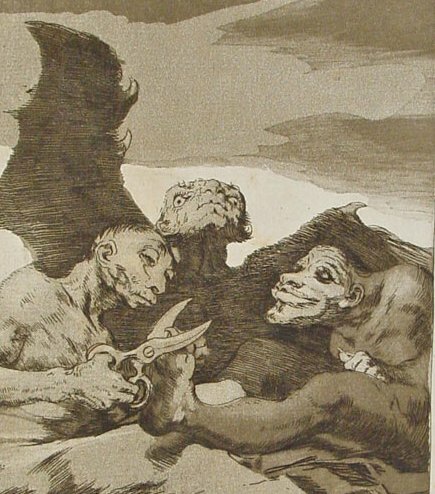 Image: Francisco de Goya y Lucientes, “Capricho no. 51,” 1799. Source: Wikimedia Commons. Now we all know that there are only two things certain, in life and in a Bush SOTU speech. That’s Death and Taxes, man. How could any headline writer worth their salt miss this one?….. 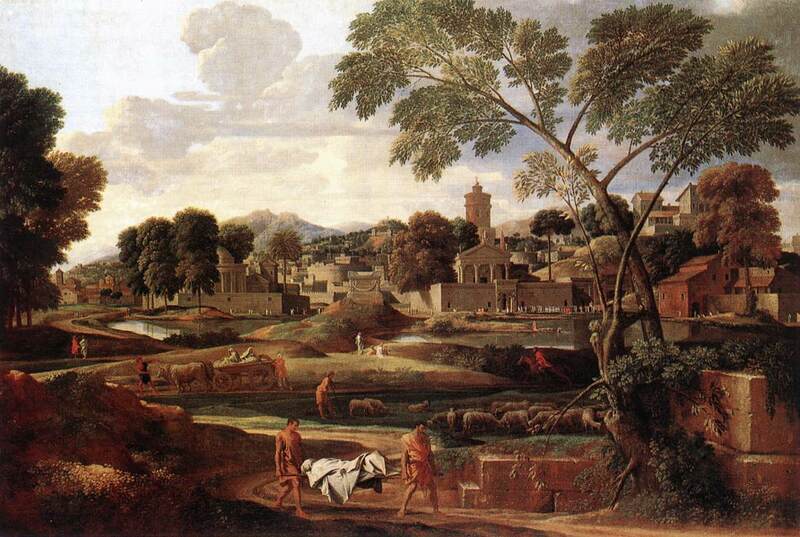 Image: Nicholas Poussin, “The Burial of Phocion,” 1648. Source: Wikipedia Commons. Bad Science Kills People: Bush administration/heroin edition. Most people would think that a cheap, simple tool that allows those on the sharp end of the drug wars to save lives would be an unalloyed good. Dr. Bertha Madras, deputy director of the White House Office on National Drug Control Policy, opposes the use of Narcan in overdose-rescue programs. People in dire straits should not be empowered to help themselves (in a way shown to work). Instead, a dying person should hope to have the luck to make it to the E.R. It gets worse. The essential claim Madras makes is that improving a user’s chance of surviving an overdose will encourage further drug use, while avoiding death under the care of medical professional will induce the lucky survivors to seek drug treatment. That is, the Bush Administration’s point person on drug policy simply ignores the inconvenient knowledge that exists about the effect of this cheap, life saving program. Why doesn’t the fact that readily available cheap (and cheaper-for-the-state) alternatives to life-destroying events exist affect this view? Because of a commitment to an unexamined assumption: Exemplary suffering helps focus one’s mind, it is claimed (how else can you read Madras’s comments) and so anything that might defuse the power of the demonstration is to be avoided. Science be damned. This is, of course, precisely why the idea of good science matters. I’m going to post later on the debate at the Science Blogging Conference about why science has such problems articulating itself in the public square (see this post at Terra Sigillata for a run down of the state of play in that conversation.) But this story tells us why the issue is vital. Real science demands that theory be ratified by observation and defensible interpretation of the data. Bad science allows ideology to determine what facts, if any, are admitted into the conversation. Right now, bad science is winning. I’ll stop here. I’m trying to stay reasoned in the face of my own mounting rage. Update 2: See also this post and embedded link at commenter Lovable Liberal’s blog: he’s right — this whole thing is disgraceful, but unsurprising — which is, of course, the point. If repeated blows can overwhelm the public’s capacity for outrage, then the unforgivable becomes routine. Update 3: Drug Monkey has taken this story and run with it here. Aside from the kind comments about this blog, the key idea I drew out of the post is what happens even to good scientists when they get absorbed into an institutional culture of politicized bad science. Madras is hardly the first scientist to face the worse-or-worser fate that comes whenever you have to weigh personal reputation vs. your job of putting makeup on ever uglier pigs. But she does provide one more object lesson in why an understanding of real science at the very top actually matters. See also Tara C. Smith’s writing at Aetiology. She sees the Narcan/HPV vaccine connection and raises it by the anti-needle exchange folly. The take home from all of the above: this story cannot be read as single outrage. It is one more thread that leads into a much larger scandal, one that should be treated as such by both the science and the political blogosphere/press. Update 4: Click on this link to commenter Elizabeth Pisani’s blog for an amplification of her remarks below. She’s been on the front line. Reality does make a difference to one’s outlook, no? 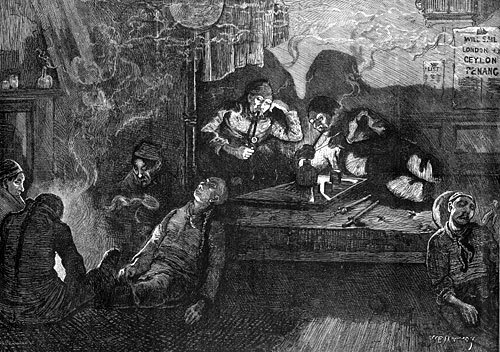 Images: “Opium Smokers in the East End of London” Illustrated London News, 1874. Franz-Eugen Koehler, “Opium Poppy” in Koehler’s Medicinal Plants, 183-1914. Both sourced from Wikipedia Commons. Categories: bad ideas, bad science, Bush follies, Politics, Republican knavery, Science Policy, Who needs science?